If you are wondering where to stay in Hanoi with kids, don't worry we can recommend some wonderful Hanoi family hotels for all budgets and sizes! Whether you are looking for budget family accommodation in the Old Quarter or a serviced apartment in a quiet area, you will have lots to choose from. 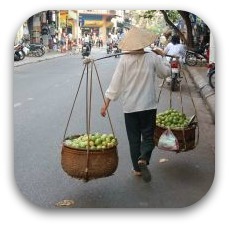 Read more about things to do in Vietnam and Hanoi here! 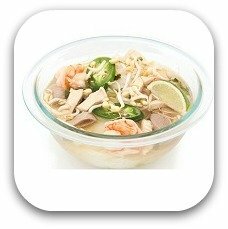 Learn about yummy Vietnamese food here! 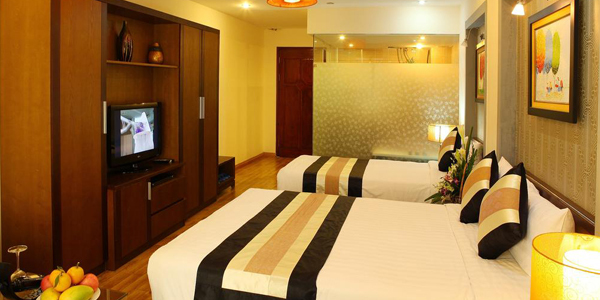 Holiday Silver is one of the best budget Hanoi family hotels. It is situated in the center of Hanoi only a 1 minute stroll from the Hoan Kiem Lake and with plenty of shops and restaurants nearby. Breakfast is included! Our father is a frequent guest of this hotel and he highly recommends it! The staff are friendly and helpful! This is a cheap hotel located in the Old Quarter with lots of restaurants, shops, markets and spas to explore! Start the day with a buffet breakfast included in your rate. A/C, a minibar, tv with satellite (and quite a few English channels). Family suites that can sleep a family of four. Interconnecting rooms are also available if you prefer a bit more space and privacy. 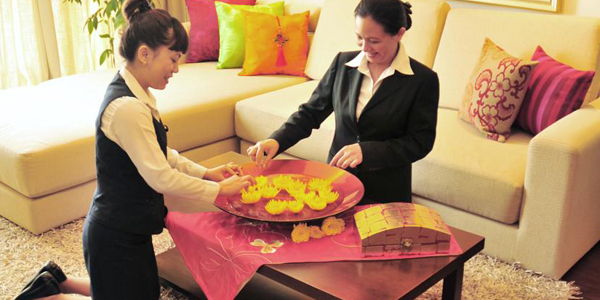 Golden Sun Hotel is one of our favourites-my father is a regular visitor to this hotel! It is modern and has lots of amenities such as mini bar! Breakfast is included in the rate and has plenty to offer even the pickiest kids-fruit, cereals, yogourt, eggs and omelets! 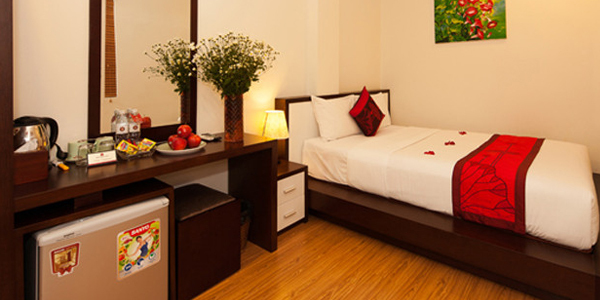 It is located in the old quarter close to the night market, fruit markets and the lake. Walking distance to the water puppets. 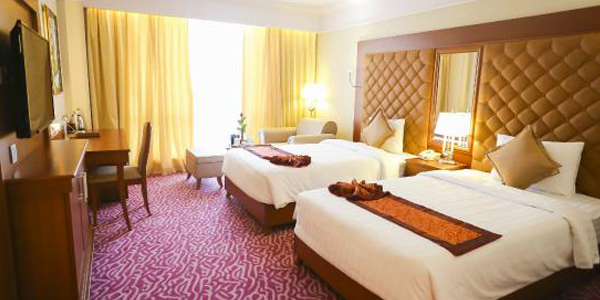 It offers family rooms that can sleep 4 (2 King). Boss Hotel is one of the top places to stay with kids. The room has a wooden bathtub (it's really nice!) and a shower as well. There is a living area too! Start the day with the delicious buffet breakfast! It is located in the Old Quarter. 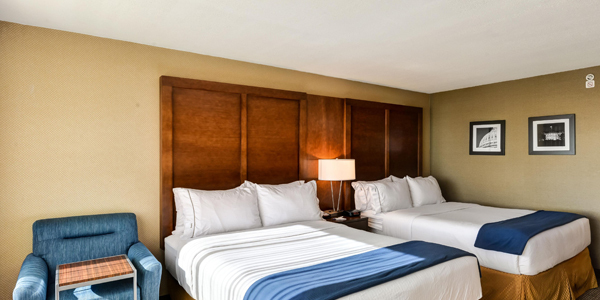 It offers family rooms that can sleep 4 (1 King, 1 Queen Bed). This hotel is run by the Military Ministry of Vietnam and the staff are quite friendly! It has beautiful gardens and is located in a quiet area. 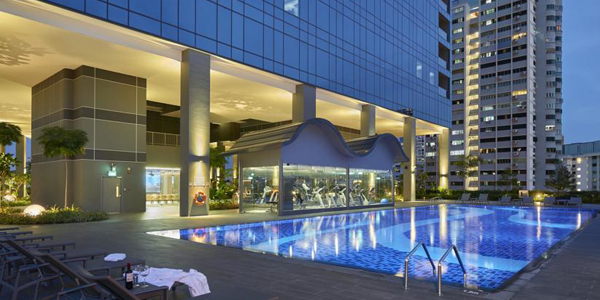 The facilities are quite basic overall but it does have a pool! Snacks & Drink available around the pool. Splendid Star Grand Hotel is in the old Quarter. It offers . The rooms are modern. 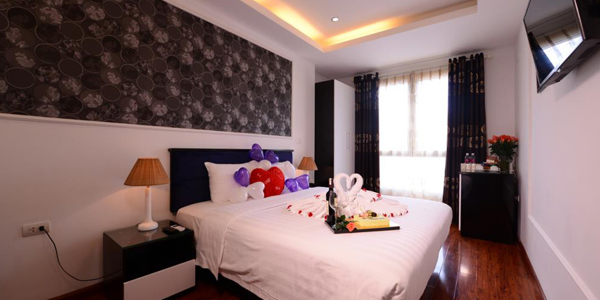 It is a five minute walk from Hoan Kiem Lake which is very convenient. You will find an abundance of places to dine nearby and cafes serving the famous Vietnamese ice cream. Cots are available for those with babies or toddlers. A/C, cable tv, minibar and computer with wi-fi. They have noise cancelling windows, which in Hanoi are a huge plus-especially so the kids sleep well! Family rooms that can sleep a family of 4. Fraser Suites is a great option for large families. You can make your own meals if you tire of pho and spring rolls! This accommodation is located near West Lake . If you eat a few too many spring rolls you can always head to the fitness center. 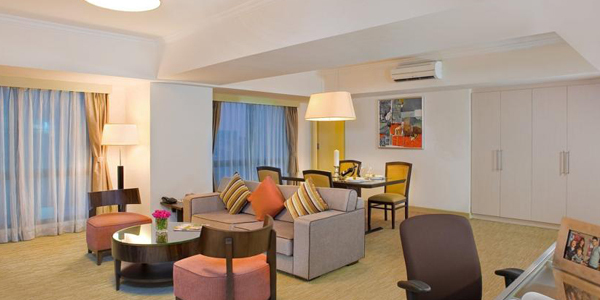 Serviced apartments are available in 2 or 3 bedroom suites with a kitchen. Sleeps 5 or 6. 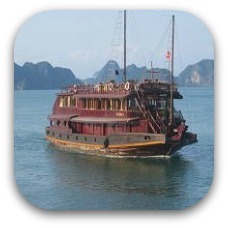 This is another great option for families traveling to Hanoi. It is centrally located and within walking distance to the Old Quarter. These holiday apartments are modern and spacious. Executive apartments can sleep a family of 4. 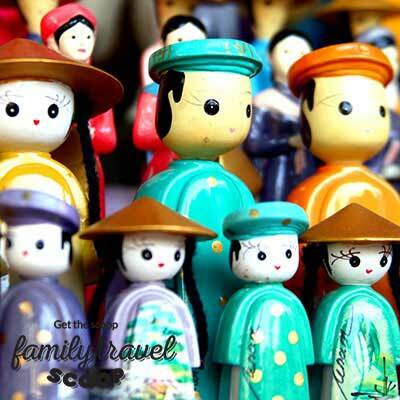 Plan your Vietnam family trip here! 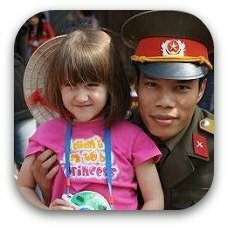 15 things to do in Hanoi with kids! Yummy Vietnamese food your kids will love! Beautiful Halong Bay with children! Plan your family trip to Vietnam!